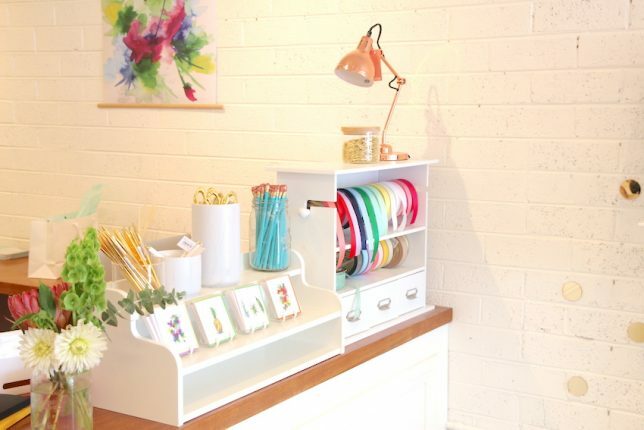 Upon A Time Paperie owner Emily Jack runs her brick and mortar store out of Australia’s Yarra Valley, catering to every possible paper and stationery need of locals and tourists alike. The shop itself is beautiful, reflecting Emily’s dreamy and ethereal design vibe — but what’s even more special and impressive? Upon A Time donates 30% of its profits to three different charities. 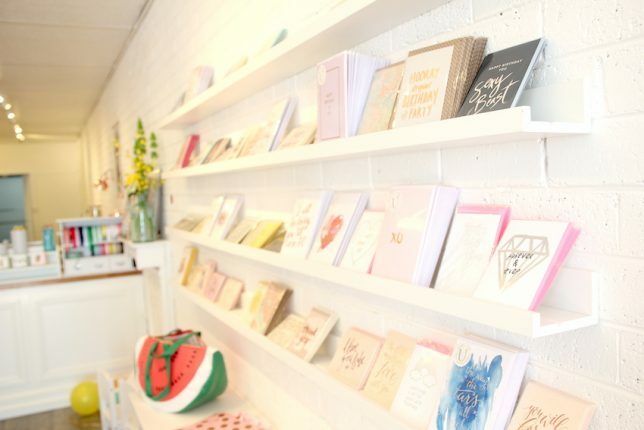 We talked with Emily to learn more about her business and her mission and to get the details on how Vend has helped her make Upon A Time a success. Read on for what she had to say. Tell us a bit about how you got started. What’s Upon A Time all about? 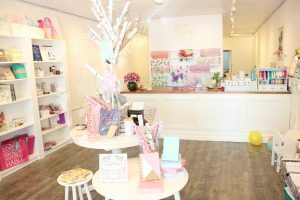 Upon A Time is a stationery and giftware store specializing in graphic design and bridal stationery — so lots of paper, pretty things made of paper, and other things you use with paper. Paper! We started as a home-based, hobby-style business when I was pregnant with my first daughter. Over the next couple of years, I realized how passionate I was about what I was doing and knew I wanted to grow it into a successful and profitable business. So fast forward a few more years, add in some growth and a few scary-as-hell risks, and here I am: shop owner! The local community has been incredible. Yarra Glen is a beautiful small town, right in the middle of the Yarra Valley. It has a very country-town feel to it, and everyone here has been lovely and encouraging. I was half expecting some Stars Hollow-esque (Gilmore Girls reference) gossipy town folk to come in and rain on my paper parade — but no, everyone’s been great! Despite Yarra Glen being a bit of a tourist area, I’ve found the locals to be my best customers. I liked that Vend had so many great integrations; it worked with Xero, my accounting software Tyro, and my EFTPOS provider, and I could operate it on an iPad. In addition to a brick and mortar location, we also have an online store — and using LinkSync, I’m able to update inventory between my website and Vend so everything is always current and correct. I also liked that there was plenty of information online, so it was easy to set up on my own and to work quickly through any troubleshooting. How did you find setup? What’s the situation in your store? Are you using an iPad, PC, or other device? I use an iPad with Vend as my POS. My cash drawer, receipt printer, barcode scanner, and EFTPOS machine all work wirelessly with Vend, so I can move my iPad around without cables getting tangled. Setting up everything was pretty straightforward thanks to all the online instructions. Mind you: it’d be a different story if it were my mother-in-law doing it (I love you, Jenny!). But in that case, Vend’s support team is there to help! I love design — the ability to take a blank canvas and make something beautiful or inspiring. I’m also passionate about business and truly believe (possibly idealistically) that business is a tool that can make the world a better place. So ultimately, my passion comes down to that: having a business that’s sustainable and profitable both so it can support my family and me and support projects that feed the impoverished, provide education to children in developing countries, provide safe havens for the oppressed and abused, and so on. In addition to Vend, you use Xero for accounting. How has this helped your business? To be honest, it’s something I wish I’d paid more attention to earlier. I didn’t set up this integration properly to begin with — but now that I’ve finally fixed it, it’s made bookkeeping a lot less labor-intensive. Sales and stock orders are all sent to Xero, where I can just cross-check and approve rather than having to enter each line. The cash-management aspect of Vend also means I can pay smaller bills out of the till and keep track of these without messy notes in the cash drawer. On a super practical note: don’t be afraid to seek professional help (not talking therapy, but that may be helpful, too!) such as accountants or lawyers to assist in setting up and explaining things to you. It can be scary spending all that money, but making sure things are properly set up at the beginning will save you so much time and trouble down the track. There was a time at the end of winter, five months into business, when I got down to $9 in my bank account. Yep, nine dollars! That was super scary, but it totally motivated me to do whatever I could to bring some cash in — and less than a week later, I had enough come in to pay my rent, order some more stock I’d been eyeing, and have some safety money left over. Staying positive and seeing the business as a journey that’s teaching me things and helping me grow allows me to avoid getting bogged down and to stay focused on the outcome. Opening this shop is something I felt I needed to do, and I’m sure there’s a reason for that. Whilst I’d love for it to succeed, I’m confident that whatever happens, I’ll be better because of it. Follow Upon A Time on Twitter, take a look at their blog, and drop in if you’re in the area! 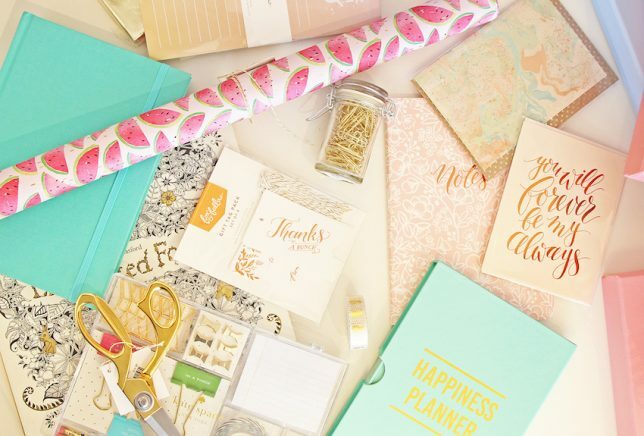 The post Vender of the Week: Upon A Time Paperie appeared first on Vend Retail Blog.